On the bus this morning my Twitter and Facebook feed started going a bit wild. I was wondering why people were congratulating me. When I relaxed enough on the bus I started checking the phone. I had no book with me either. OMG! I was short listed for an Aurealis Award from my short story collection, Beneath the Floating City. So many friends are in the short lists. Some have been nominated many times and a number of those have won. Here I am little old me, getting a short listing for my self-published collection. The collection is mostly previously published works of science fiction, from early stories back in 2003, such as ‘Other’ to my later stories. I also published a new story in the collection called ‘Lake Absence’ that was inspired by Lake George when I was taking the bus to Sydney to head to the Denver Worldcon many years ago. I just couldn’t get that story published, though I came close with the Aurealis Magazine with one of the previous editors. In previous years I would never have thought about publishing a collection of my own stories. Although it make sense to gather them up into one book because they are just there instead of scattered around. This was my first attempt and I gathered together SF stories. I have at least two others in mind. A magic realism collection called Through These Eyes and a fantasy collection, name not conceived yet. Since I’m also Indie publishing these days, the collection was something else I could publish. I realise now that I just put this out there and I didn’t advertise it widely. I know this because the image for the cover was not in my WordPress archive.So I didn’t even blog about it. I think it was because it was just before I went to Europe. So here it is. The wonderful cover was produced by Patty Jansen. I give this book away free to newsletter subscribers and it’s for sale in ebook everywhere for $2.99 USD. If you want a free copy, the link to sign up to my newsletter is here. Well heaps actually. To get this kind of acknowledgement is lovely. I had thought that my short story writing days were over. That there wasn’t any point because you know…well. Authors can sometimes have serious downward mind speak that squashes them down. I have mentioned this before but the whole “I’m not worthy thing” is difficult to control at times. That’s why it is so nice to get feedback, of the nice kind, and to be acknowledged with a short listing or an award or a review. It’s like being patted on the head and told keep going, you’ll get there. I threw this in for the Aurealis Award without expectation. As someone who has researched Australian speculative fiction in the past I know how much the eligible works lists mean to the researcher, how useful. And I wanted to make sure that the work I put out was in the bigger lists. I wasn’t expecting a short listing. Now I shall not give up writing short stories. I shall write those ideas that bash around inside my brain eventually. Many thanks to the judges for their hard work. Congratulations to all the other nominees. My name appears on a list with such amazing writers, I am over the moon, chuffed. Margo Lanagan, Kate Forsyth, Kim Wilkins, Tansy Rayner Roberts and Peter Ball. Here is the link. I’ve known a new cover was coming but nothing could prepare me for the awesomeness of it. 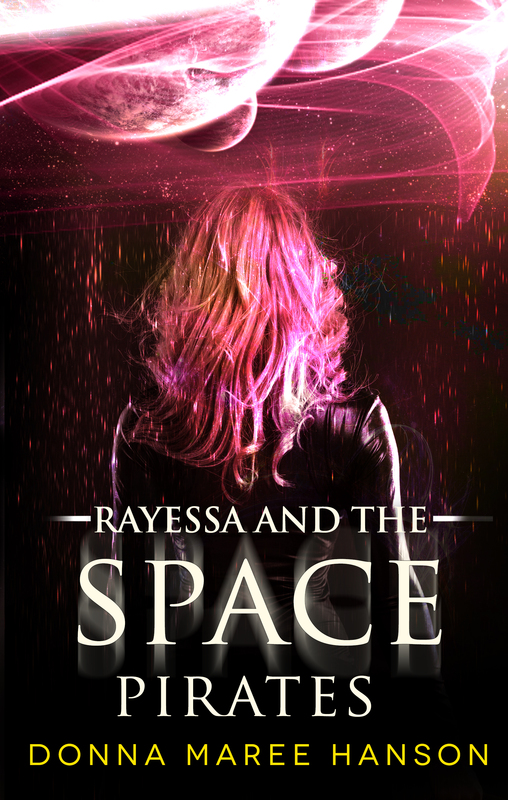 Here is the resdesigned cover of Rayessa and the Space Pirates. 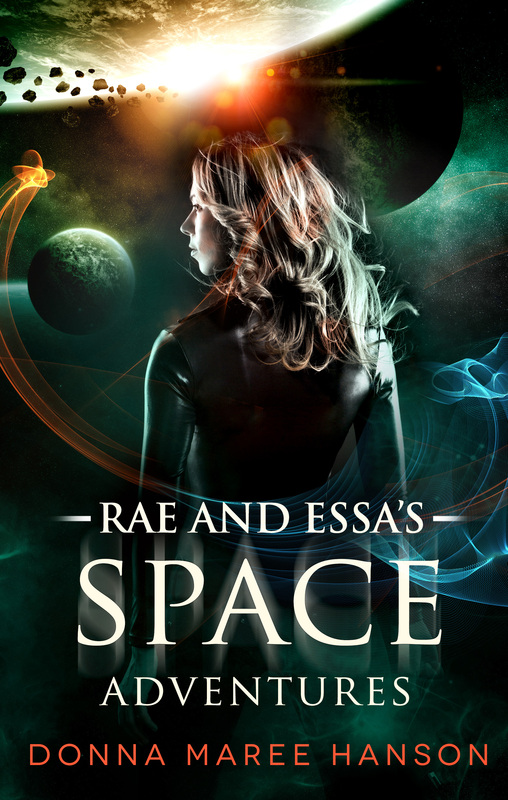 Also, I’m not sure if I shared the blurb of Rae and Essa Space Adventures. I also noticed that iBooks had Rae and Essa Space Adventures for 99 cents. Here is a link the Australian iBooks store. Link.